Chronic foot pain keeps you from your favorite activities. 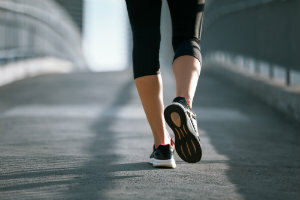 No matter if you love running, playing rec sports, or even just simply walking around town, a foot that hurts will make you want to stay at home. If you decide to try and “push through it,” you can open up the possibility of either long-term damage or stronger symptoms. So how do you stop chronic foot pain? Well, your first step in relieving chronic foot pain is to call Fixing Feet Institute and request an appointment. We can help you by diagnosing the root cause of the problem, and then creating a treatment plan to effectively address it for you. Fortunately, we are able to resolve many common sports injuries—plantar fasciitis, Achilles tendinitis, stress fractures, etc.—without need to use surgical procedures. The most prevalent source of chronic foot pain is overuse. If you lead an active lifestyle—and we definitely recommend you do—or have no choice but to be on your feet for extended periods at work, you may benefit from wearing shoes that offer extra support, foot and ankle stability, and protection. Not sure which type of footwear is best for you? Come to our Surprise, AZ office and discuss this with our foot experts before buying new shoes! Many of those treatment options listed above are also used to prevent injuries from developing in the first place. For example, stretching your lower legs and feet first thing in the morning, before and after any exercises, and right before going to bed at night can lower your risk of Achilles tendinitis. If you have gained weight—other than weight gained during pregnancy!—you can also reduce your risk of developing chronic foot pain by losing weight in a healthy way. You can also provide your muscles and bones with the nutrients they need to stay healthy and strong by eating well. When chronic foot pain is slowing you down or keeping you away from your favorite activities, our team at Fixing Feet Institute is ready to help. Contact us online for additional information, or simply give us a call at (623) 584-5556 and request your appointment today.